It's been awhile since I've shared a Scrabble math printable. Scrabble math is such a great way to work on literacy skills, spelling, and math, all while learning about a specific topic. This one is all about planets! 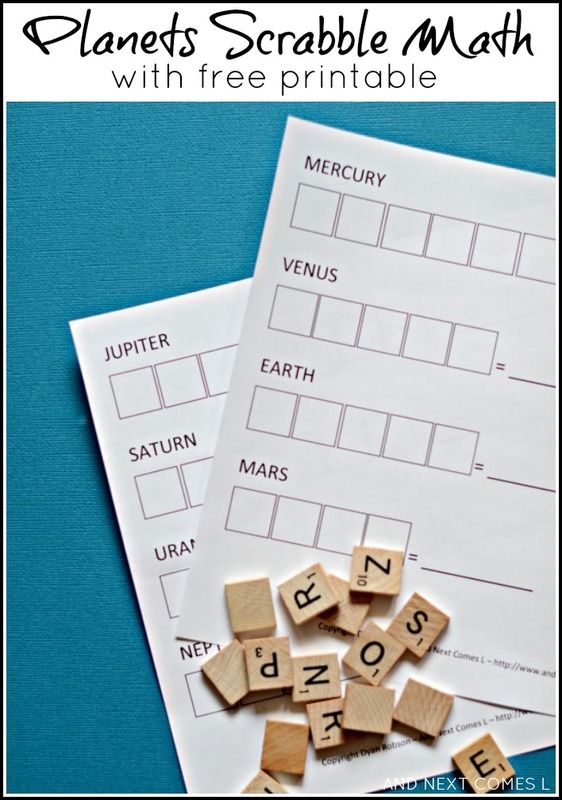 Spell all eight planets' names and then add up their scores using this free printable. Spell the words using the letter tiles and the printable. Then add up the score to find the sum! Simple math and spelling activity all-in-one. My boys also like to write the corresponding letters in the boxes after they've tallied up the word's score. My oldest, J, also likes to put the scores in order from first place to last. Lots of great learning occurs when we do Scrabble math!